A Lancashire-headquartered market leader for transport to the Isle of Man, Ireland and the Channel Islands has unveiled ambitious development plans for the next 12 months. 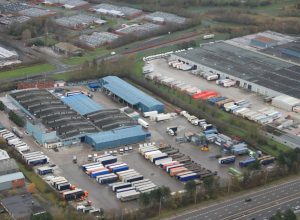 Skelmersdale-based Graylaw Freight Group has continued to deliver growth in tough market conditions. And over the last year, it has significantly increased its work in the domestic UK pallet delivery sector – alongside increased handling and storage on its 15-acre, 350,000 sq ft headquarter site. Now it is looking forward to 2019 and more innovation. Currently in its 34th year of business, the group has a turnover of more than £20m, employs more than 200 staff and operates more than 250 vehicles. Harry Hill, chief executive and founder of the business, says: “We have an exciting year ahead with plans to further increase our presence in the UK pallet sector. “We will also be introducing new handling contracts offering our customers a bespoke service which includes container handling down to individual ‘pick and pack’ services. In a competitive industry, Graylaw has constantly moved forward with industry changes and become an innovator in its field. 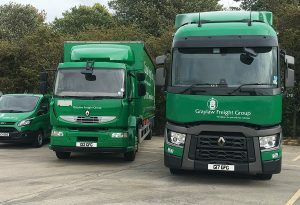 Utilising technology, with its track and trace facilities and fleet monitoring service, has enabled Graylaw’s vehicle fleet to be operated in the most effective way. Downtime has been significantly reduced and customers have the reassurance of constantly knowing where their goods are at all times. Proud of its roots, Graylaw has immersed itself in the local community and supported a number of projects. It also has a very strong relationship with West Lancashire College, which provides training and apprenticeships to the business. The results are impressive with 90 per cent of apprentices going on to become full-time employees within the first 12 months and getting real-life skills in the freight industry. Graylaw also works hard as a business to reduce its CO2 emissions as the drive to a low carbon economy accelerates. We are always on hand and delighted to answer your questions and queries. Contact us today on 01695 729101 or send an email to info@graylaw.co.uk. Where Can Graylaw Distribute My Products?